Nicole Collins guides Chunky Monkey out of the barn earlier this month at Complete Equestrian Vaulters in Fort Collins. 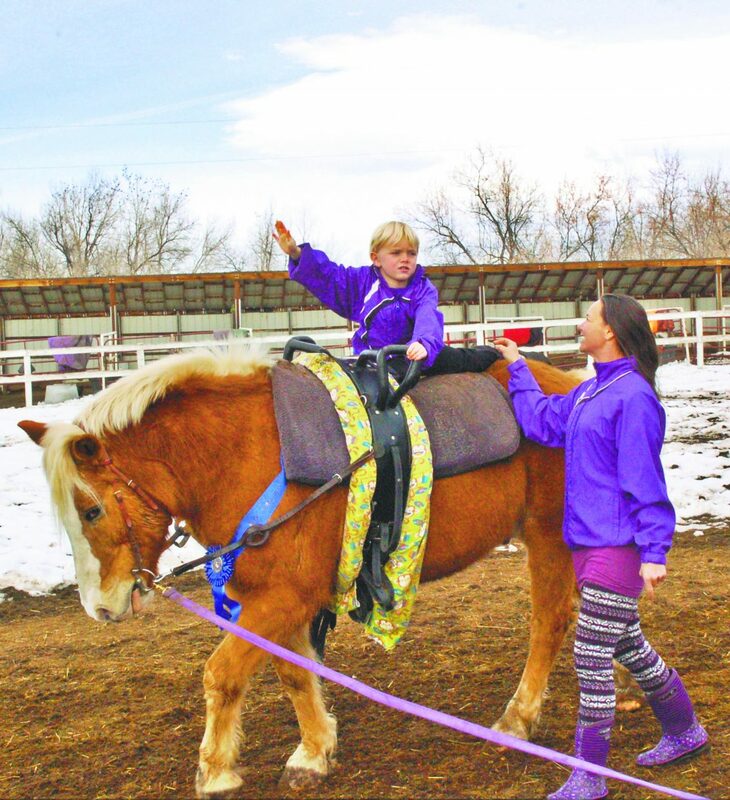 To learn more about Complete Equestrian Vaulters, which offers competitive, recreational and therapeutic vaulting, go to http://www.cevaulters.org or contact head coach Nicole Collins at (970) 213-0759 or info@completeeq.com. At Complete Equestrian Vaulters in Fort Collins, Colo., it doesn't matter that 17-year-old Chunky Monkey is practically a celebrity. 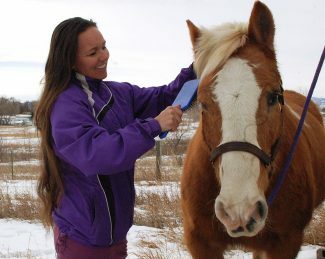 Nicole Collins, head coach and owner, gives him the same amount of loving she gives the other 14 horses. He gets cookies sometimes. He gets let out to pasture at the same time as the other horses. But even if Chunky Monkey doesn't get special treatment, he knows he's one of a kind. "Chunky Monkey does whatever he wants whenever he wants," Collins said with a laugh. Sometimes, the Halflinger gelding will wander off so far that he's two fence lines away. 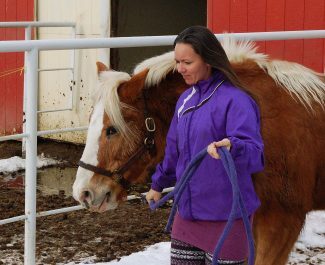 Collins' son, 9-year-old Marshall, will get off the bus from school and see Chunky in the neighboring field, grab his mane and swing up onto his back, and ride the escape artist back home. Home is where Marshall and Chunky Monkey's story started. It's where Marshall learned to vault — an equestrian sport combining dance and gymnastics on the back of a moving horse — and where he and Chunky trained for their eventual national title. It's also where Chunky helped hundreds of others get their start in vaulting. But Chunky's story goes back further. It started in 2009, at Collins' childhood vaulting team Golden Gate Vaulters. When he came to the team, he was the fattest horse Collins, a teenager then, had ever seen. That's where he got his name. Now, after a long vaulting career, numerous national titles and thousands of young athletes on his back, Chunky Monkey was awarded a Lifetime Achievement Award by Complete Equestrian Vaulters Jan. 21 at the nonprofit's fifth annual Heart Beats Gala. Chunky Monkey's success comes from his demeanor, Collins said. He's stoic, despite his big personality, and he doesn't scare easily. "It's been really great having him being my vaulting horse. He's extremely safe," Marshall Collins said. "Some of our horses are afraid of the tarp and plastic bags, but he is afraid of nothing. Nothing at all." Collins said it's important for vaulting horses to have a low flight response. When they are afraid — which should be rare to begin with — they need to stop and assess a situation, rather than bolting. "He is the safest vaulting horse I have ever met, and that's after decades of being around vaulting horses," she said. "I feel so safe putting all these vaulters on him in so many different situations." She's taken the horse and her team to competitions, parades and even daycare centers. Nothing fazes Chunky. Well — nothing except treats, that is. 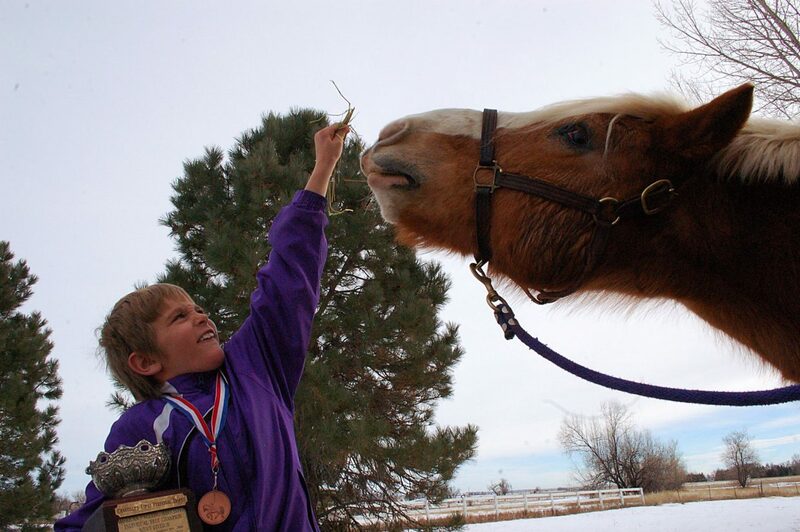 When 4-year-old Jackson, the youngest Collins boy, comes running across the backyard with a handful of hay for the horse, Chunky Monkey forgets all about the trick Marshall was trying to get him to perform — a smile by tickling his nose. Chunky Monkey is more food-motivated than any horse Collins has ever seen, she said, grinning. He's figured out how to open doors around the barn, and he will do anything to get into the grain room. Since he is — well, chunky — he provides a good base on which vaulters can learn more difficult moves. At about 12 hands, Chunky Monkey is also shorter than most other vaulting horses, which gives young riders a sense of confidence to try harder moves, since they are closer to the ground if they fall. Sometimes, Chunky has even saved the day for other vaulting teams. At competitions, if a horse is acting up, it isn't safe to allow a vaulter to ride it. That can be heartbreaking for the vaulter, who has prepared for that moment, Collins said. "I can't tell you how many times I can count that I have offered Chunky Monkey up to another vaulter and they have been able to compete on him right then and there," she said. "He has to be one of the most special horses I have ever worked with." Awarding Chunky Monkey isn't about giving the horse, who Collins said is widely recognized as one of the safest horses in the American Vaulting Association, another accolade, though. He already has a shiny blue ribbon from his national title with Marshall last year. It's about recognizing the opportunities one horse has given to so many kids. 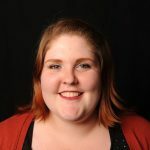 "I get to watch him on a daily basis build up the self-confidence and balance and coordination and teamwork skills of hundreds of kids," she said. "I guess to me, it's just a simple reminder of who he really is and what he has accomplished." It's something he will continue to accomplish, Collins said. He's not ready to retire yet — he's still too excited to work with the kids, and they with him.